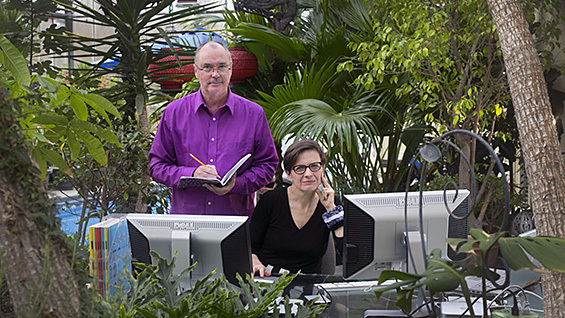 David Turnbull, Professor at The Irwin S. Chanin School of Architecture, and Jane Harrison, who with Prof. Turnbull co-founded PITCHAfrica, have had their WATERBANK Schools project recognized by a special award of support in this year's Buckminster Fuller Challenge. The annual Challenge, organized by the Buckminster Fuller Institute, was established to, “support the development and implementation of a strategy that has significant potential to solve humanity's most pressing problems,” according to the BFI website. The award ceremony, hosted by the Institute for Sustainable Design, will take place on November 18 at 7PM in The Great Hall. It is free and open to the public with an RSVP. WATERBANK Schools is an outgrowth of PITCHAfrica’s original mission to develop high-yield rainwater harvesting reservoirs that double as community centers and sports complexes in underdeveloped parts of Africa where clean water is at a premium. (See our story of September 2012.) 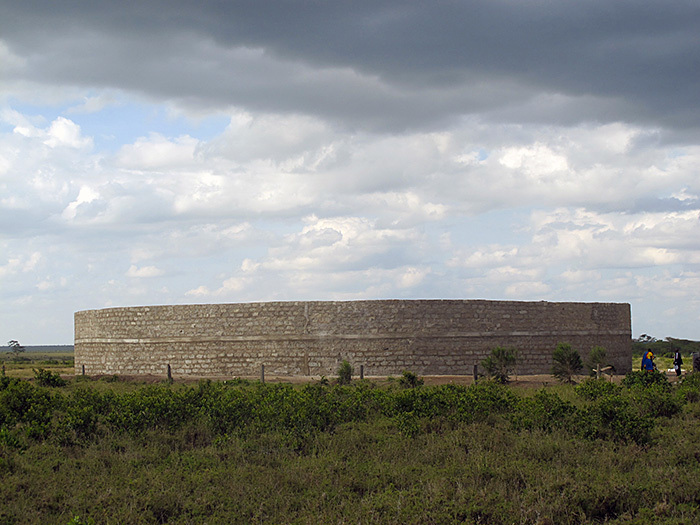 WATERBANK projects use the same concept on a smaller scale. 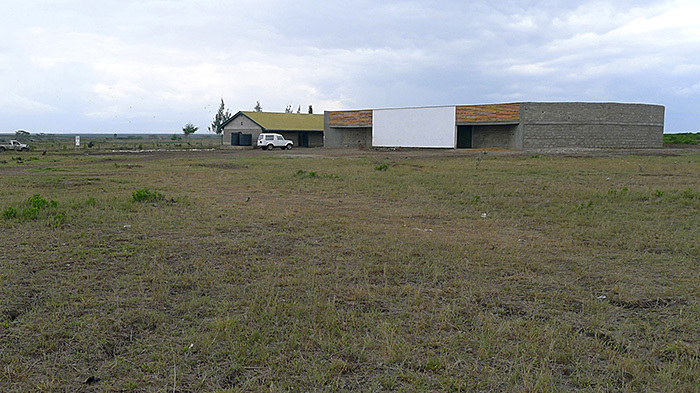 The first WATERBANK School, completed in Laikipia, Kenya in December 2012, in partnership with the Zeitz Foundation, provides classrooms, gardens, a theater and storage for 150,000 liters of water in a region where rainfall averages 600mm annually, according PITCHAfrica's website. 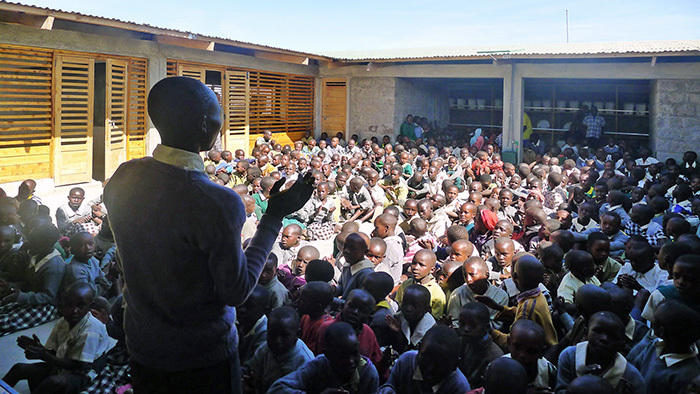 Construction on two new WATERBANK School buildings, a dormitory for girls and a canteen, began construction Laikipia, Kenya in July. "We are delighted to be receiving the Interface Support Award," Prof. Turnbull said. 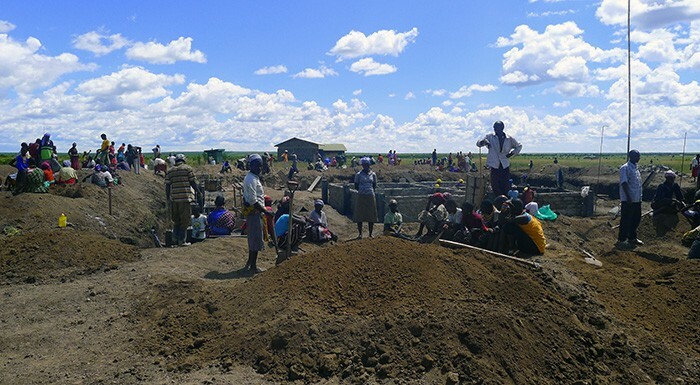 "We know that Interface's support will have a very significant impact on our ability to take the WATERBANK Schools Initiative to a new level of engagement, ultimately supporting the production of 'open-source' documentation including construction manuals that respond to variable climate and geo-physical conditions. The Award includes financial support and the opportunity for us to interact with the exceptional knowledge network that Interface Inc. have built over the past few decades."